BODA-BODA, Bicycle, 3 on 1/Boda YUP! that’s how we get around in the village for teaching and farming God’s Way follow-up. 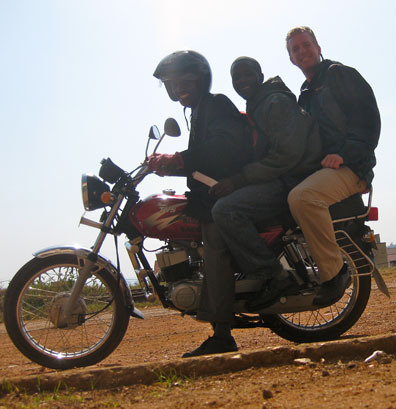 It’s the most economical way to get around Uganda in the city or the village.